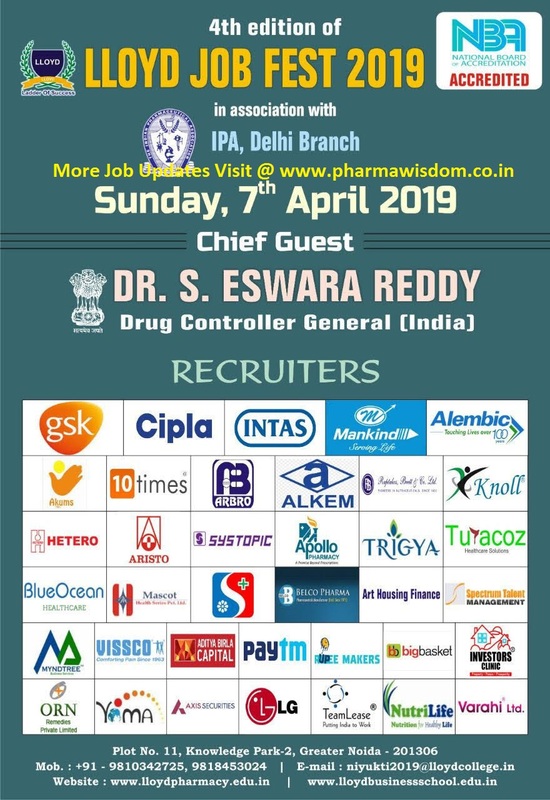 LLYOD JOB FEST 2019 in association with IPA, DELHI BRANCH is scheduled on 07.04.2019 and DR ESWARA REDDY, DCGI will be the Chief Guest of the session. 1300 Candidates from Pharmaceutical background got registered so far. 25 Pharmaceutical companies will be participating to identify talent as per their need. Message to Pharmaceutical Industries - Kindly encash the opportunity by sending your HR team for initial screening. Message to Job Seekers - Get your FREE registration and explore your talent.